Most construction workers aren’t covered by the contract, and some workers in other unions did show up to job sites Tuesday. But those projects throughout Western Washington faced potential delays because some of the workers involved in the strike have integral jobs. 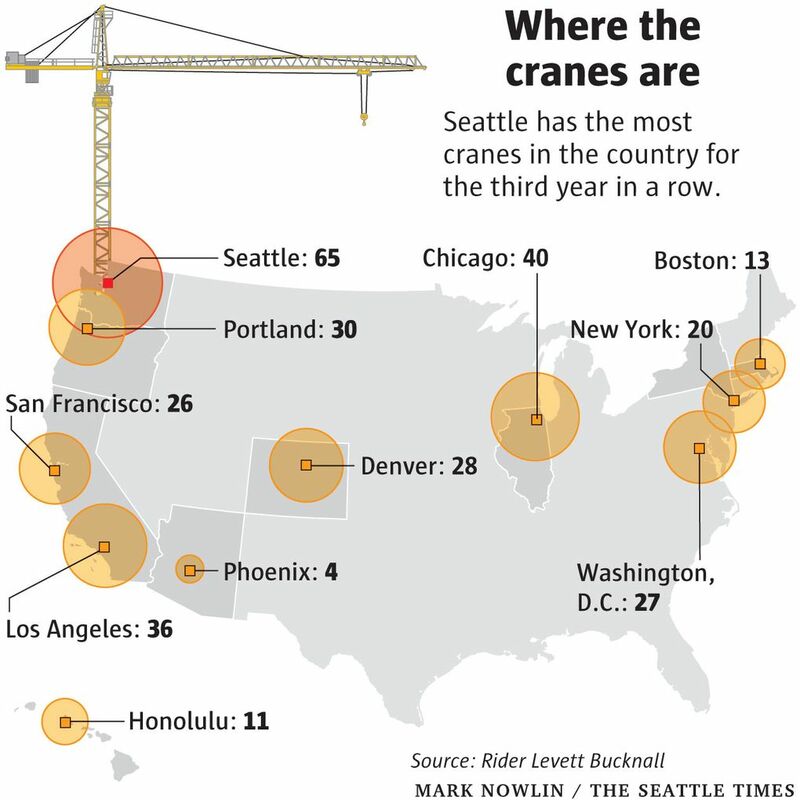 The crane operators, in particular, are pivotal: Seattle has 65 cranes remaking its skyline — the most in the country — while Bellevue has 14. On most days, their giant arms are busy swinging around heavy equipment, but on Tuesday, most sat idle. Union officials said the majority of the membership rejected the contract, but they did not return calls Tuesday to explain the sticking points in the stalled negotiations. It’s also unclear how long the strike could last. The union and management — the Associated General Contractors of Washington — have been negotiating since May. Representatives from both sides had reached tentative agreements on two occasions, but both were rejected by the workers. “This union has been a long-time partner with us and we’re going to work with them,” said Doug Peterson, director of labor relations for the Associated General Contractors of Washington. The contractors group added in a statement that it was disappointed that the contract was rejected but that the group was “committed to bargaining in good faith.” No future negotiating sessions have been scheduled. 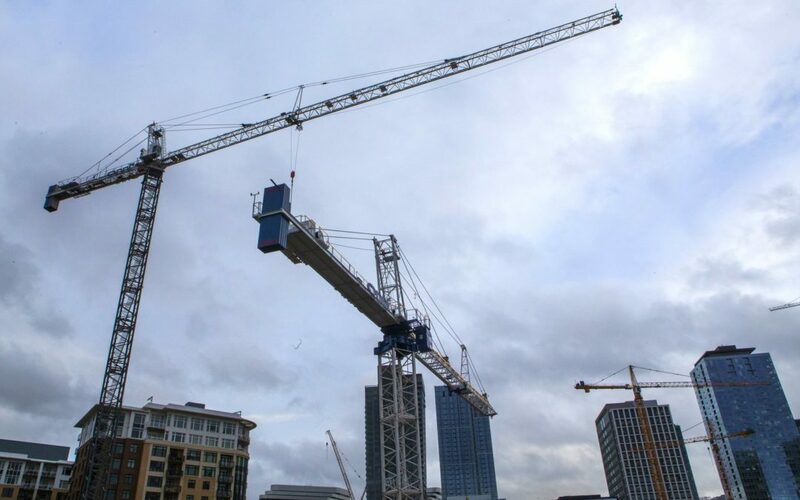 The cranes can cost $15,000 to $55,000 a month to rent, depending on the model.